Keep track of new emails in your menu bar. Is there a better alternative to FlagUp Notifier? 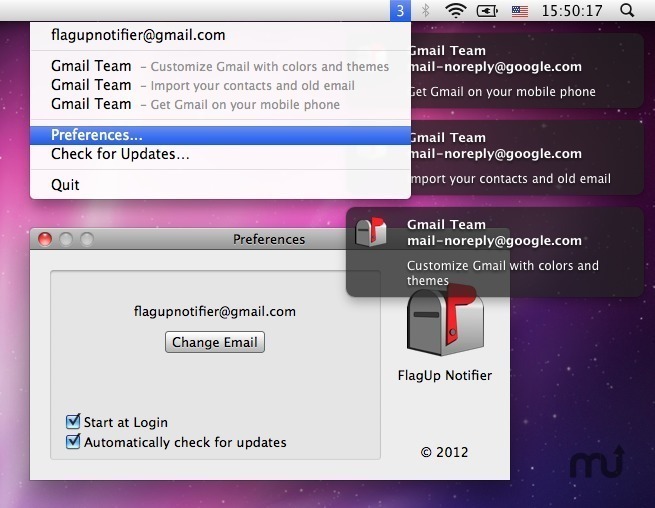 Is FlagUp Notifier really the best app in Email category? Will FlagUp Notifier work good on macOS 10.13.4? FlagUp Notifier is a menu bar application designed to display new email real-time notifications by using the IMAP IDLE feature. Supported email servers: So far only Gmail. Connecting to the mail server uses a secure protocol, SSL. The password for your mailbox is stored in the OS X Keychain. No need to periodically download and manually install updates. FlagUp Notifier needs a rating. Be the first to rate this app and get the discussion started!